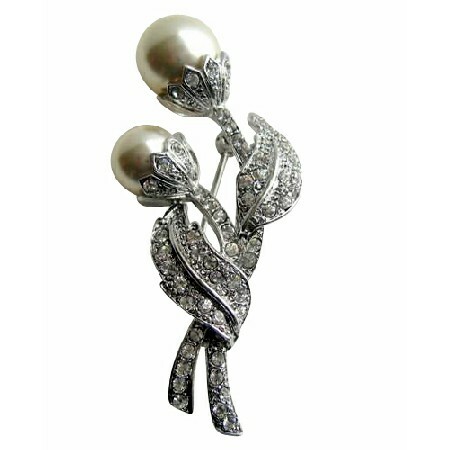 Give every ensemble a feminine touch with this beautiful brooch. Add a dash of drama with a bold eye-catching brooch. This cute brooch features silver plated adorned with simulated diamond Cubic Zircon. This contemporary pin with Big Stud Pearls 10mm following with tiny cubic zircon encrusted flow all over very high quality elegant & sophisticated & iridescent This is lovely brooch on your favorite dress shirt scarf or jacket lapel. A beautiful accessory for any occasion.